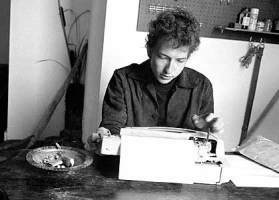 Bob Dylan is 66 today. Scott has a nice piece at Powerline. For those who do not follow Bob's movements, his Never Ending Tour continues.�The man works hard. When the Deal Goes Down, at YouTube. What a voice! Or, should I say, what phrasing! "...ain't no use to sit and wonder 'why' now, if'n you don't know by now...."